Successfully Added 10W Portable CREE LED Floodlight - 1200 Lumen, IP65, 3 Light Modes, Aluminum Alloy Shell to your Shopping Cart. 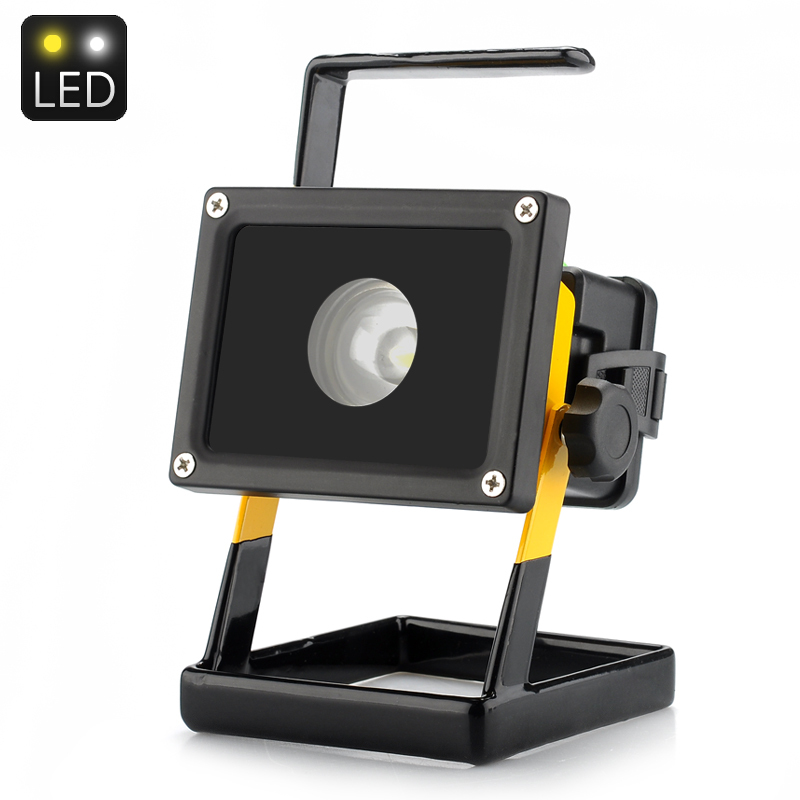 10W Portable Cree XM-L U2 LED Flood light with Rechargeable batteries and IP65 rating for use indoors and out. With a tough Aluminum shell and an IP65 rating this weatherproof portable LED flood light weighs in at under 700 grams. At just 10W you would be mistaken for thinking this energy efficient flood light is lower powered because it’s able to generate a huge 12000 lumens of light. No jobs too big or small for this work horse, with a maximum output at 1200 lumens is able to bring light to any problem indoors or out. The 120 degree horizontal and 60 degree vertical beam angles ensure a wide coverage of light. 3 different light modes including medium and high give you options for any event and a strobe light setting can also be used for attracting attentions to any hazards on your work site or in the wilds. Using a powerful CREE XM-L U2 LED means that not only does this flood light use very little power for its light output but also that it has a long life expectancy of around 100,000 hours. So when all the other lights have gone out and the sun has set this flood light will keep on shining bright. This product is in stock now, we guarantee next working day shipping and offer a 12 months warranty on all our products. Brought to you by the leader in electronic devices as well as wholesale LED Flood lights and gadgets, Chinavasion.